Statia is the commonly used name of the island known St. Eustasius. Amazingly, this little island is rarely chosen as a dive destination. However, Statia has much to offer the well traveled diver. First of all, the habitats are diverse! Divers can enjoy walls, lava flows, boulder slides, historical wrecks and more! Rather than traveling thousands of miles to Indonesia to see the small interesting creatures there, black sand diving present many opportunities nearby. 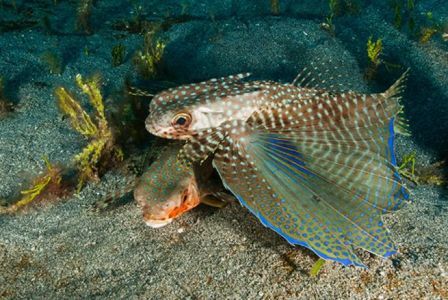 Visit flying gurnards, seahorses and a host of other small critters here. One exceptional aspect of diving in Statia is how wonderful the reefs are. Tourism hasn’t set its footprint on this beautiful island, so the reefs haven’t felt its impact. The waters of Statia are some of the most beautiful in the Caribbean and in fact, the world! Statia, a former trading post for goods, raw materials and slaves, boasts tons of wrecks. Many are not much more than outcropping of cannon and ballast stones in the reef. However, there are numerous more recent wrecks. These include the 170 ft Chien Tong and 317 ft Charles L Brown. Dense schools of horse eyed jacks and barracuda make their home here. Large, green moray eels swim freely around these wrecks. The proliferation of bait fish envelope these enormous hideouts. These schools of fish can literally block out the sun! Statia is a volcanic island. Most of the dive sites are volcanic with coral attached to these spur and groove areas. Outcroppings of beautiful coral create interesting landscapes and varied panoramas! One dive site, Blue Bead Hole holds significant importance in Statia. There are blue beads of glass in the sand on this site. These were manufactured out of blue glass in Europe. These glass beads were used to reward the slaves back in the 17th century. 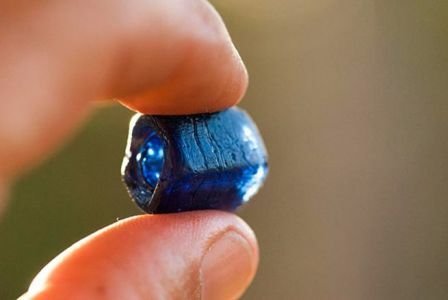 These beads are the only items that are allowed to be brought up by divers. Remember the diver creed: Take only pictures and leave only bubbles! On this one, the blue bead goes into the diver’s bc pocket! But even if you don’t find an elusive blue bead, you will still find many wonderful creatures. Incredible opportunities to see flying gurnards and peacock flounder are in this area. 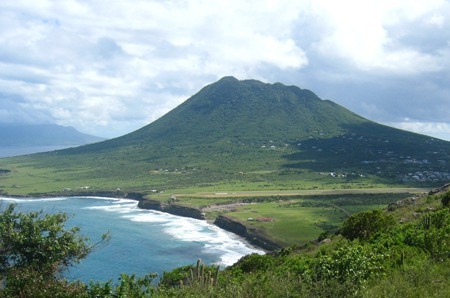 Statia is steeped in incredible nature and colonial history. Excitement climbing the Quill, the island’s dormant volcano, can keep divers and non divers engaged. Moving among the giant trees in the crater will reward those willing to make the climb! Photographic opportunities avail themselves in Venus bay. Here nature lovers can seek out the famous Satia Morning Glory. This beautiful flower grows freely in the area. The botanical gardens and the award winning historical museum draw one into the wonderful culture and history of the island. Walking along the quaint cobblestone streets of Oranjestad, the capital, one can find shards of ancient pottery and bottles. The Eustatius Historical Foundation can provide guides to provide guided walks throughout the fantastic history of Statia. Lastly, the gradual sloping reef of Statia is close enough to the shore, that snorkelers can see a bounty of excitement! You will find reef octopuses, peacock flounder, trumpetfish and more! Cannon can be found only yards from the Golden Rock Dive Center. There is so much to see! The dates are February 2nd-9th, 2019. The price for all this and more is $2559.00 double occupancy garden view or $2799.00 double occupancy Oceanview. Your deposit of $500.00 is now due. If you have any questions, please feel free to email at info@toucandive.com or phone (847) 356- SUBMerge (7826). Don’t miss out on a fantastic opportunity! Enjoy the fantastic diving and absorb the wonderful cultural heritage and history of Statia!